During our travels in Asia, we were fortunate to make lots of Filipino friends everywhere: they’re an extremely internationally minded bunch! And as we loved the Phantastically friendly Philippines so much, we thought we’d dedicate an article to our Pink Pinoy buddies from around the world. 1. 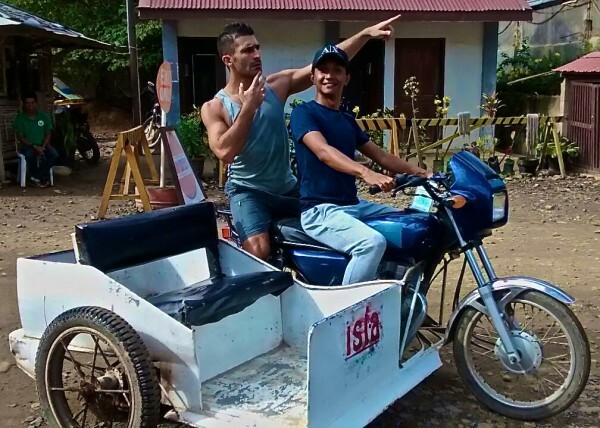 Why do you think the Philippines is seen as so gay friendly? 2. Where in the Philippines would you take Mr Right? 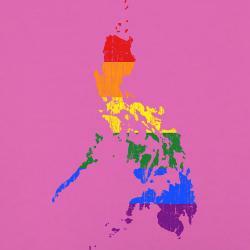 The Philippines is very gay friendly because the country is pretty gay! 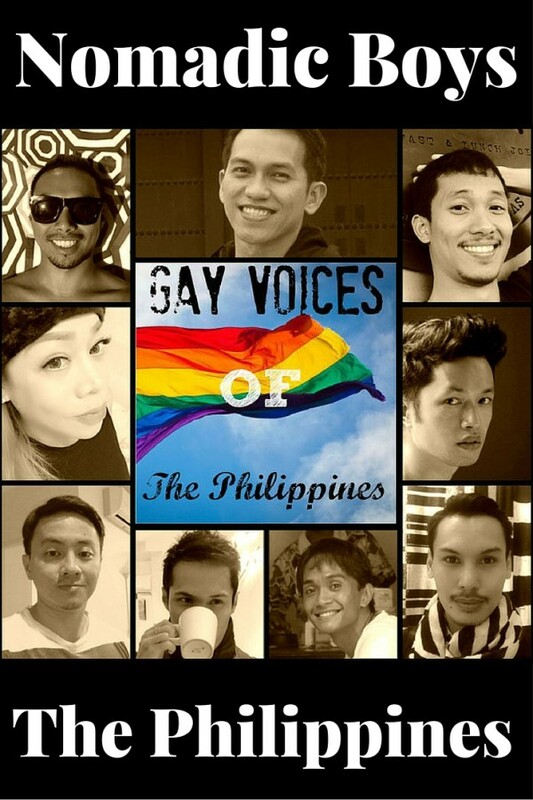 Although homosexuality is still frowned upon in most places, Filipino gays are pretty out and loud. It helps a lot that there are many visible gays on TV and in various media, like the TV presenter Vice Ganda and transgender actress and model BB Gandanghari. I would take Mr Right on a diving trip all over the Philippines. Actually, I already did. The best dive spots from my experience are in Batangas, Cebu, Bohol, Palawan and of course Tubbataha reef. Check out DJ's awesome blog: Dream Euro Trip. It is a fact that Filipinos are friendly and happy people. We are optimistic and always believe that for every challenge in life, there’s always a positive solution. Although becoming transgender was not an easy process, it was greatly helped by all my family and friends around me who all just accepted me for who I am. I would take Mr Right: to my beautiful hometown of Iloilo City, which is nicknamed The City of Love. We have a lot of natural beauty as well as many stunning beaches. And, as you can imagine, Valentines Day is a particularly special time in the City of Love. 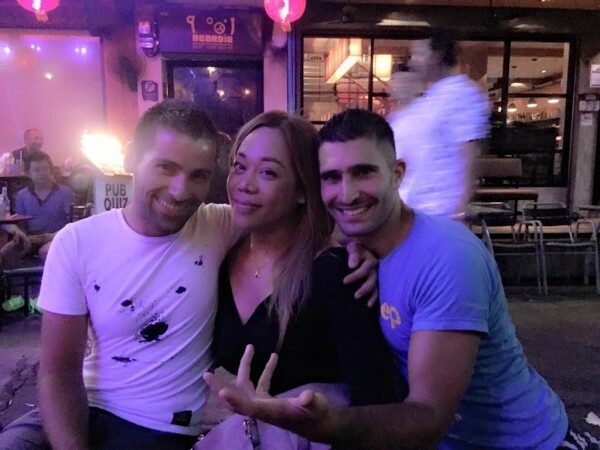 Check out Regina's awesome interview about her life as a ladyboy in Asia. 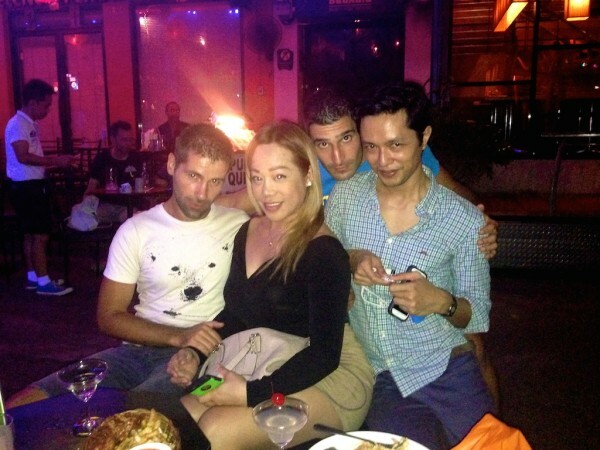 Filipinos are friendly to all visitors, gay or straight. We’re eager to meet tourists and show them around. People’s attitudes towards homosexuality have shifted a great deal over the years and it helps that there are increasingly more gay personalities in the media. People belonging to the LGBT community are more tolerated rather than fully accepted, but I’m quite positive attitudes are moving towards the latter, albeit slowly. I would take Mr Right: to Siargao Island, in the North Eastern tip of Mindanao. I’m bias of course because this is where I’m originally from. It’s mainly known as the surfing capital of the Philippines, but beyond surfing, it has many great romantic and secluded beaches, like Magpupungko, Alegria, and Union. Check out Girard’s sassy blog for more fun Pinoy insights. Well boys, it’s because we Filipinos are famous for being hospitable to visitors and especially to foreigners. We love them! But in terms of gay friendly, yes homosexuality is tolerated but still frowned upon. I would take Mr Right: to climb up to Lake Kayangan at Coron Island in Palawan. One word: amazing! It is a challenge to reach, but you would do anything and everything to show Mr Right this beautiful place. Then at the top, Mr Right would use this moment to propose to me. Then after saying yes, we’d go swimming together in the lake. 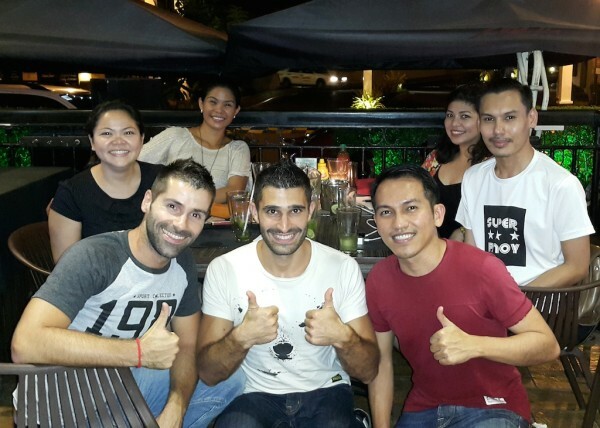 We are regarded as a gay friendly nation because we possess a warm, welcoming, fun and friendly spirit. We spent 300 years in a Spanish convent and 50 years in Hollywood – ha ha ha! But as a result, this has shaped us to be more open minded as to what is different and more accepting of change. I would take Mr Right: to Cebu, where I am originally from because it possesses a distinct personality you just won’t find anywhere else in the Philippines. In 30 minutes you can be at a mountaintop resort enjoying fresh produce and inhaling the fresh country air, or you can be by the sea enjoying our fantastic beaches, eating delicious Cebu lechon (roasted suckling pig) for lunch. 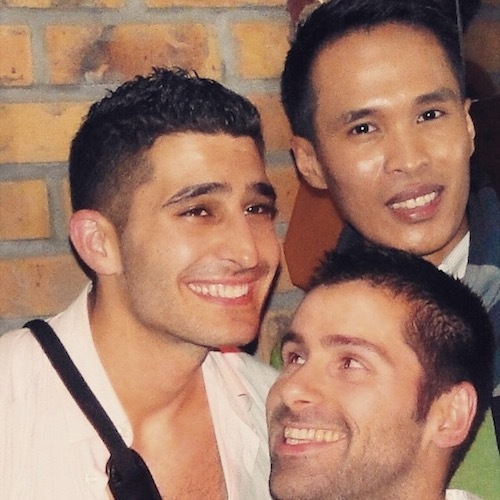 Read more about Rione’s gay life in Manila and the Philippines. I think the influence of show business is the main reason. So many elected public officials used to be in this industry, which shows the strong showbiz influence in Filipino society. Yes we are naturally drama queens the lot of us! And, since there is always a gay personality behind every showbiz success story, this has positively influenced how the public sees gay people. We also have a couple of famous and influential gay personalities in show business that have broken negative gay stereotypes to appeal to the masses. For example, Boy Abunda is an influential talk show host and Vice Ganda is a very funny comedian. Although the negative stereotypes of being gay were proven to be untrue by these famous gay personalities, being gay is only tolerated and is not yet completely accepted by Filipino society (but a tolerant society = a gay friendly society). I would take Mr Right: to Paradise of course, ie Palawan island, particularly to Coron or a nearby remote island where a nipa (wooden stilt) hut is set-up but isn’t necessarily connected to a power grid to provide electricity. Go to Greenbelt Mall in Makati, hold hands with your boyfriend (without irony) and the worst that could happen is you will get provocative, mildly shocked, quietly unnerved stares. And that's it. You won't get stoned, called names, or publicly shamed by conservative Catholics who might feel scandalised by the sight of two buff boys showing very visible signs of affection towards each other. Greenbelt is a classy, family mall, of course, so take that into consideration. When you go out into the streets of (Metro) Manila and behave the same way, it might be a different experience altogether. If by gay-friendly, you mean people are not outwardly hostile, then yes! Philippines is gay-friendly. Just stay away from the comments section of the Filipino dailies because the amount of vitriol in some of them is just too much. I would take Mr Right: to one of the many stranded sandy beaches of Palawan island (actually, Mr Wrong wouldn’t be so out of place there, either!). I would also take him to cold Baguio and Sagada, Mountain Province where you can hold hands as much as you wanted underneath all the layers of clothing. Patrick is a fellow geek and has an excellent blog to prove it. Compared to the USA, where I was raised, the Philippines is not as accepting of gays, especially now that the gay marriage laws have finally been passed by the US Supreme Court. 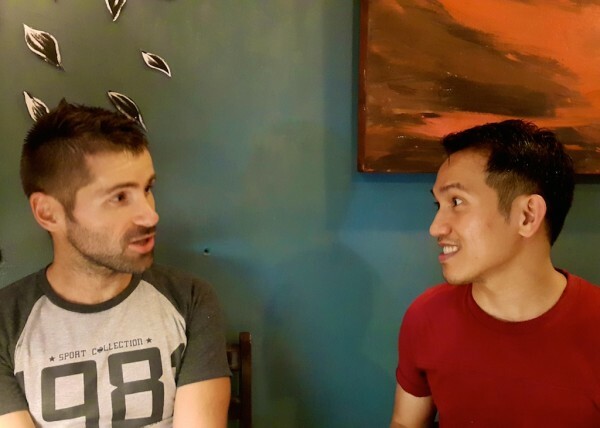 Despite this, the Philippines is one of the most gay friendly destinations in Asia because the people are more relaxed, easy going and welcoming to all. I would take Mr Right: to Boracay island because we could dress up and learn to swim like mermaids together just like you boys did! 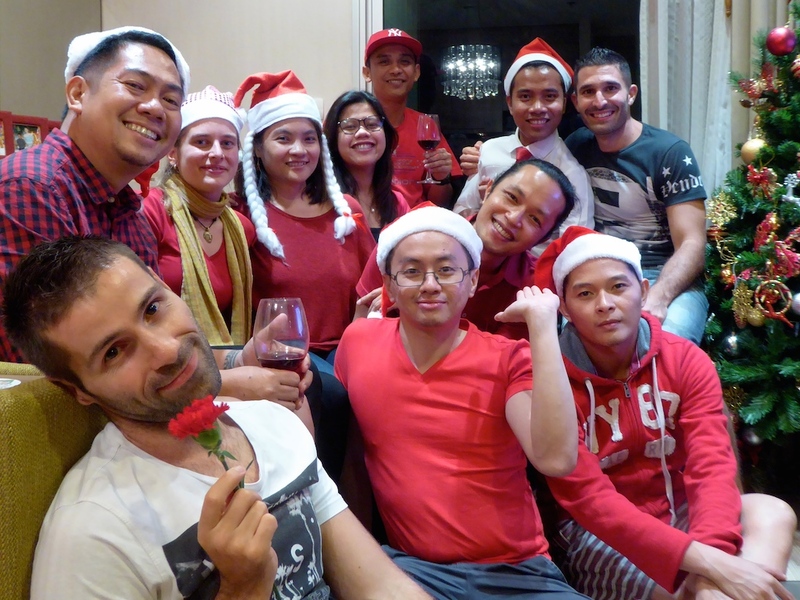 The Philippines is seen as gay friendly because a large amount of our economy depends on tourism, hospitality and catering, each of which naturally attracts the pink pound. I would take Mr Right: to my home town in Dipolog City and introduce him to my family and all the good people I know and then take him to the most beautiful place I have been to, which is Ginto Island. What follows next will be the greatest adventure! Travel with us as we swam our way through Boracay and Palawan in our Philippines travel video. I have visited Philippines about a dozen times, and wish I had discovered it earlier in my life! The guys are so gorgeous, warm, and friendly. I have used dating sites also, and found lots of really sweet and genuine guys. One word of advice, though. Most guys want to be treated with respect and affection. They do NOT want to be regarded as objects or one of several of your conquests. Just be nice and sincere, and they will truly appreciate you. If you fail to give them respect, the good ones will be deeply hurt and the bad ones will be more determined to fleece you of all the money you have. Remember, the average Filipino has a very small disposable income, chocolate and pizza are luxuries to them. Do NOT behave like richer-than-thou boor. I am now happily engaged to a very special Pinoy and we plan to marry in mid-2018. Wow.. thank you very much for this guys. thank you for featuring our country and people to other nationalities. We Filipino gay wanted to be happy all the time so we make our friends happy and stress free, deep inside we had our own problem to be face like discrimination. We used to make laugh of it because we nothing from their insult instead we respond on them a happy thought about ours. We had a gay fiesta here for Beautiful and Ugly. Aside from being friendly and hospitable, my take as to why filipinos are gay-friendly and is open to homosexuality, transgenderism, crossdressing etc, was deep rooted from our pre Spanish behavior, culture and history. Tribes in pre colonial era were ruled by a datu but also had a spiritual leader which was called the babaylan. These babaylans would partake in rituals, were knowledgeable in science, medicine, agriculture, literature or any other forms of knowledge and they could also act as the leader of the tribe when the datu wasn’t available. Babaylans were mostly females but a male could be one too if he had no problems dressing up as a woman and taking the demeanor of a woman too. Male homosexuals during that time would also become babaylans. It was also said that these male babaylans could have sexual relations with other men in the tribe and no one would care. Things became different though when some parts were Islamized and also when the Spaniards arrived, colonized the country and converted majority of the filipinos to Christianity. Thanks for that Chinita! We didn’t know this and extremely fascinating! Thanks for this guys, leaving on my first trip to the Philippines on Friday morning. Cannot wait to get there. Am spending a month in order to really become familiar with the main island. I have hooked up with people on Facebook and thats exciting to see them. Excellent idea – unfortunately they only gave us a 30 days visa – not long enough in our opinion! Filipinos are happy and welcoming by nature, so it’s naturally against our characteristics to be anti-humanity. Being a gay local, I don’t find it hard to go alone anywhere in our country. At times, I can tell that some old traditional people are not okay with LGBT, but they don’t publicly shame you, they will just keep it to themselves. Thanks Ry! That was our experience as well. Catholicism is not very gay friendly. I think it’s more down to the people themselves being so hospitable. Of course in my experience people who hailed from other countries, visitors, and tourist are treated nicely. In my experience being a Filipino tourist I hardly get the same experience with other tourist, if you are a person who does not resemble a foreigner or someone who does not show to posses any “moooolah” people will treat you as the same as good for nothing. Like when I was in a certain 3 class hotel people have reservations I notice people who only came after me was given first their accommodation prior to a 20-30 minutes of waiting, mostly foreigners if not guest with huge and nice car while me who only entered that building on foot. Happened to me at first but every single time I lost count already and I am so tolerant in things like this because I don’t want or we do not want our fun to be taken away from us its a vacation after all. Of course we complained and in that turn we just accepted their apologies enjoy the weekend and just never come back at that place, find better ones. It does not mean I hate foreigners or you guys I love people no matter what race, color, or level of sparkles we have! It just there will always be good and bad people. 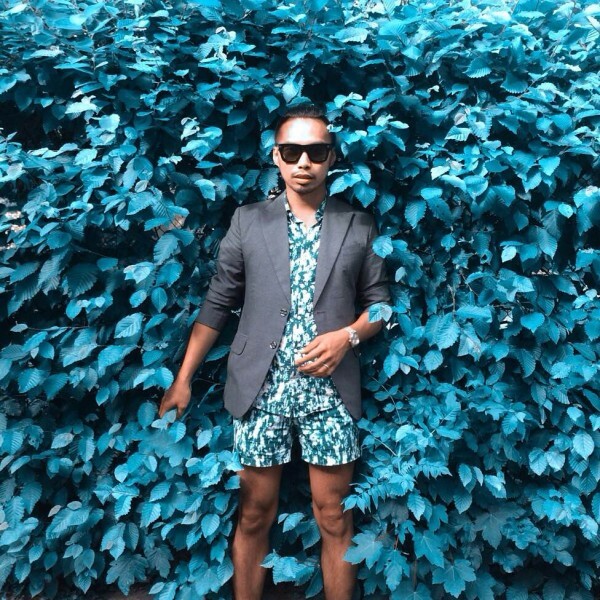 As how they see Vice Ganda (a popular gay personality) ever wondered if this fella were never noticed? or rises to fame? she will be treated rudely as how I was treated rudely. It really boils down on types of people you meet and friends whose willing to be with you even when you face the world! Still in Philippines many people treat gays, lesbians, etc. as stated in their most influential religion that being it is a “Sin” well enough dramas, most importantly we just need to live on! and live our lives! Good post guys! , the Philippines people are so nice. They make it a great place to visit! Its more fun in the Philippines! Thanks David and totally agree with you. I’d love the interviews. My wish is to visit the Filipines in the future. I’d hope to find many gay friends there and also ladyboys. I’d hope to meet Regina. She is loveley. Great interviews, I loved the Filipino people, so welcoming! . 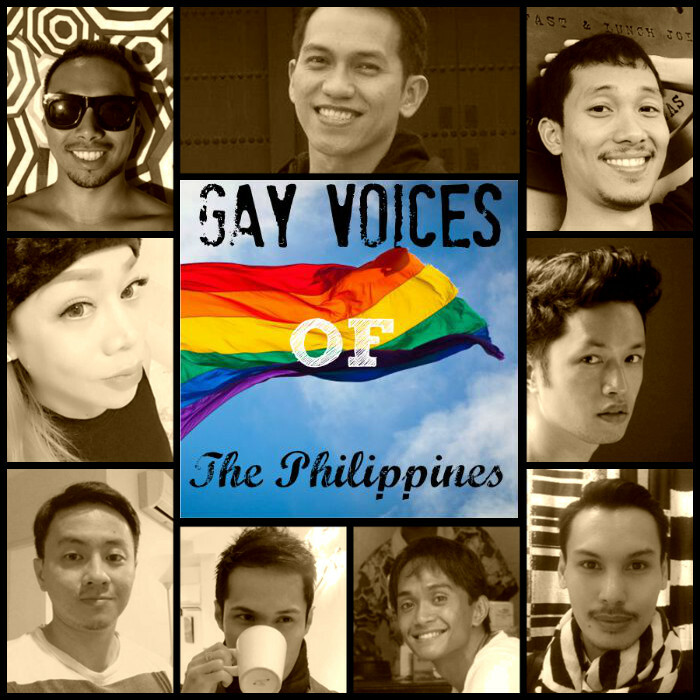 I must admit, I wasn’t sure how gay-friendly the Philippines would be considering how religious it is there, but I’m pleasantly surprised to read these stories. We too- – just goes to show..!